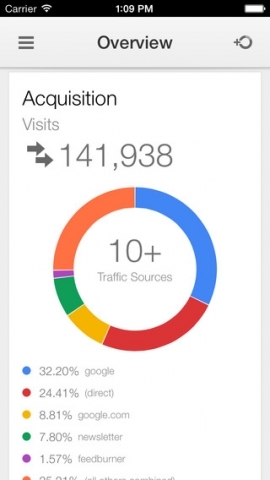 In case you missed it, Google released Google Analytics for iPhone last week. It comes a year after it was originally released for Android devices. The Real Time analytics is the best feature for website owners who can now get-a-glance of their information right from their pocket. For the full story click here: Google Gives Real Time Analytics to iPhone Users | LevelTen Dallas, TX. With the explosion in web creation tools owning a website is no longer the domain of a select few. Whether you have an online store, a “business card” site or a fan site for your passion setting up a website can be done by almost anyone with a need and a little patience. What many people fail to realize is that, just like your home PC, a little care is needed if you are to avoid having your website taken over and either vandalized or used as a springboard for spreading viruses. After all which of your friends wouldn’t download something from a website they knew you created? As you can usernames like admin, administrator, root, and variants of the URL (starred out for privacy reasons) have all been tried. It’s one of the reasons I NEVER use those as either a user id or a password. Attacks mostly seem to come from the Czech Republic, the Republic of Korea, Ukraine and so on. Why those places and what are they doing? Who cares? The important thing to realize is that even the website you put together as a memorial to your beloved dog can, and will, be attacked. The site i pulled the lockout information from is only special to the people that use it. It doesn’t get millions of views, isn’t a political or controversial group, and doesn’t contain any secret information. In fact everything on the site is public. So if they are being attacked then it’s a very good bet that your website is too. Well you can’t stop people attacking you, but you can make life difficult for them by taking some simple steps. The most obvious, and easiest, thing to do is to make sure that you don’t use any common user names or passwords. If your website providers sets up a default user such as Admin when your site is built, change it! Passwords don’t have to be long and hard to remember – two random words like BlueDriver or NotedMarketer will keep people guessing long enough to make them bored. If you use Admin and password because they are easy to remember then you deserve what you get. Install software that can lock out repeated login attempts. There are many of these around and they are often free. Install them for some peace of mind and sleep easily knowing that someone isn’t bombarding your website with thousands of login attempts. Make sure that you keep your website software up to date. As the HeartBleed bug showed us, no website is foolproof, so make sure that vulnerability are patched regularly. Those three simple steps alone should keep the vast majority of people at bay. Sure there are are few highly skilled people out there that could get in if they wanted to, but with so many juicy targets for their talents why would they waste their time on your cooking blog? Nope…it’s the equivalent of the thug with a brick that we want to stop and the steps above are the equivalent of a spray can full of mace to those guys. Clients of the Computer Whisperer WordPress hosting websites are updated and maintained regularly. Usually these upgrades are minor, performed outside of normal business hours and not something that would need notification. Periodically it is necessary to deploy major upgrades to the core platforms to make sure that your website remains stable and secure. In this case we will be upgrading PHP from version 5.2 to 5.4 within the next seven days. What will happen and how does this affect me? Even major upgrades are not normally problematic and should result in nothing more than a few minutes of downtime for your site. In almost all cases you will not even be aware that the change has taken place. Since WordPress 3.8 is known to be stable with PHP version 5.4 any problems are most likely caused by plugins. In the event of a problem we will identify the offending plugin and either work with the plugin developer to resolve the issue or find an alternative plugin that provides the same functionality. Rest assured that your website is fully backed up using a method that allows for rapid deployment to an alternative host. In the unlikely event of a major problem we will set up a new host using a legacy version of the software and migrate your site to that host. If you would like to speak about this please feel free to call the usual number or simply leave a comment below. When my wife’s iPhone was stolen in Paris I was very happy that we had the ability to remotely lock and wipe it. But the fact that it wasn’t locked with PIN had me frantically changing email and bank account passwords at 5 in the morning. Most smartphones receive your email without the need to enter a password. They also receive bank, PayPal and credit card statements and are used by these institutions as a place to confirm a password reset. This information can be used to access your bank account, reset your password and, once that has happened you can kiss your money good bye. And phone theft is on a steep climb. In New York City, cellphone thefts make up more than half of all street crime, with iPhones being the most popular item. In fact Infoworld has produced an interesting interactive map showing where cell phones are stolen in San Francisco which you can see here. My early morning panic could have been significantly reduced with a simple PIN added to the phone. I know having to enter a PIN is a pain but you don’t have to set it up to ask for the PIN every time – every 15 minutes is plenty. That’s because the first thing most thieves do is to power down your phone so that you can’t track them. When a phone is powered up again the PIN is requested even if it was last entered just a few minutes ago. Don’t store a list of passwords, PINs or personally identifying information on your phone. If you must (and let’s face it, it’s too tempting not to) then use an app that asks for a master password. Set up the phone so that you can find, lock and wipe your phone remotely. For the iPhone use the Find my iPhone service available through iCloud. I found a similar one on the Google Play store called Where’s my Droid but haven’t used it myself. Back up all of your data to a PC or the cloud. I was able to have my wife’s new phone up and running in minutes with everything just as it was before she left because we had this. 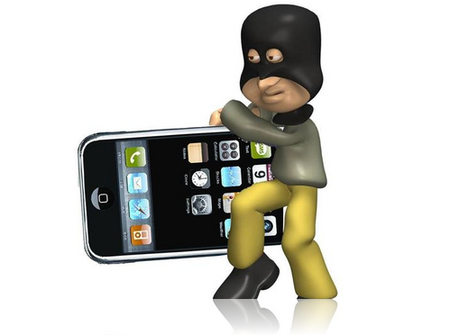 If you’ve taken the right steps to protect yourself, losing your phone will be just an annoyance. But if you’ve failed to safeguard your phone with a password, backing up all your data and installing a program that can wipe the phones data remotely, you are setting yourself up for a seriously traumatic event. Press This is an easy to install bookmarklet that allows you to grab just about anything off of the web (like a text quote, video, or image) and turn it in to a blog post, all without ever touching the dashboard of your WordPress site. via Make Quick Posts to Your WordPress Blog with Press This | WordPress.tv.